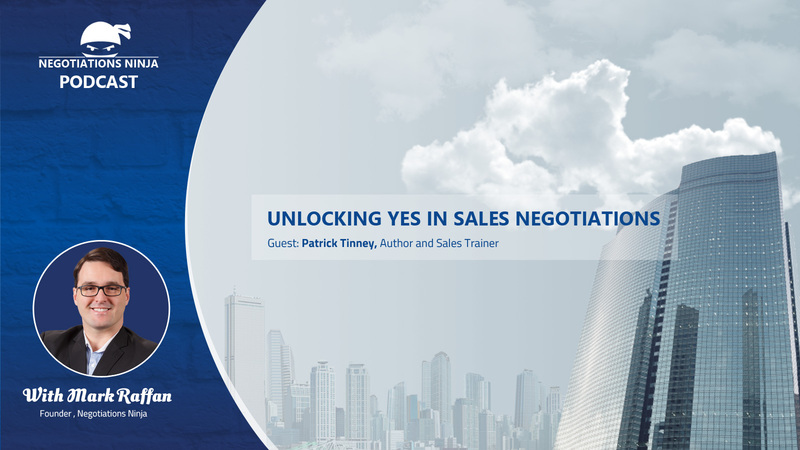 Pat Tinney is on the show to talk about the new revised edition of his great book, Unlocking Yes. Pat’s book is very much like a field guide for sales people on how to negotiate. Pat and I get into an in-depth discussion about what it takes to negotiate good deals as a sales person, the value of being able to tell a story, smartly withdrawing from deals that just don’t feel right and what you need to be aware of as a sales person when negotiating with professional procurement people.